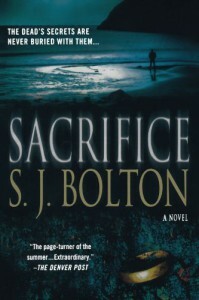 For some reason the author switched after this book to 'Sharon Bolton' instead of 'S.J. Bolton'. I can't think of any reason why this would be necessary. I really liked this book! It was quite different from most of these books, as it was not your usual suspense book. What I also loved is that it's a stand alone, it seems as everything today needs to be part of a series. It gives an insight into Shetland-Islands folklore as it may very well be connected to the terrible murders that are going on on the island. The eventual conclusion is a bit far fetched however I do think that it could be more realistic than we're willing to believe. A lot is possible these days. As I was quite surprised by this book, and her other books as well, It won't come as a surprise that she is in fact one of my favourite authors.